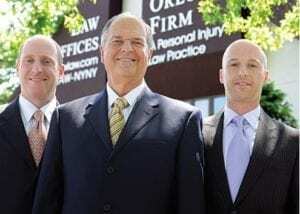 Brooklyn car accident lawyers of The Orlow Firm have handled car accident injury cases occurring in Brooklyn for a combined 100-plus years and have the skills, legal knowledge and commitment to clients’ rights needed to effectively handle your case. Contact a Brooklyn car accident lawyer at The Orlow Firm at (646) 647-3398 following a car, truck, motorcycle, bus, subway, taxi, bike or pedestrian accident. We can speak with you and assess your potential claim at no charge, then provide aggressive, caring and results-driven legal help. We have handled hundreds of car accidents occurring in Brooklyn and across all of New York City and through negotiations and litigation have recovered many millions of dollars in compensation for injured clients. For a no-charge consultation with a Brooklyn car accident lawyer, contact our office.